Utilities to streamline unit testing in Dynamics CRM 2016 by faking the IOrganizationService against an In-Memory context which runs blazingly fast. Utilities to streamline unit testing in Dynamics CRM 365 by faking the IOrganizationService against an In-Memory context which runs blazing fast. Utilities to streamline unit testing in Dynamics CRM 2013 by faking the IOrganizationService against an In-Memory context which runs blazingly fast. Empired Ltd intellectual property for rapid development on Dynamics 365 CE. This package contains the official Microsoft.Xrm.Tooling.Connector assembly and has been authored by the Microsoft Common Data Service SDK team. Dynamics CRM Enhanced Organisation Service is an extension to the out-of-the-box IOrganizationService. It supports async operations, dependencies, transactions, and caching. 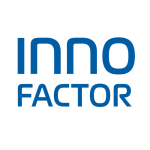 Client Connectivity for Innofactor Microsoft Dynamics 365 projects.